The Menuhin Hall presents an exhibition by Korean-born artist Soon Yul Kang. 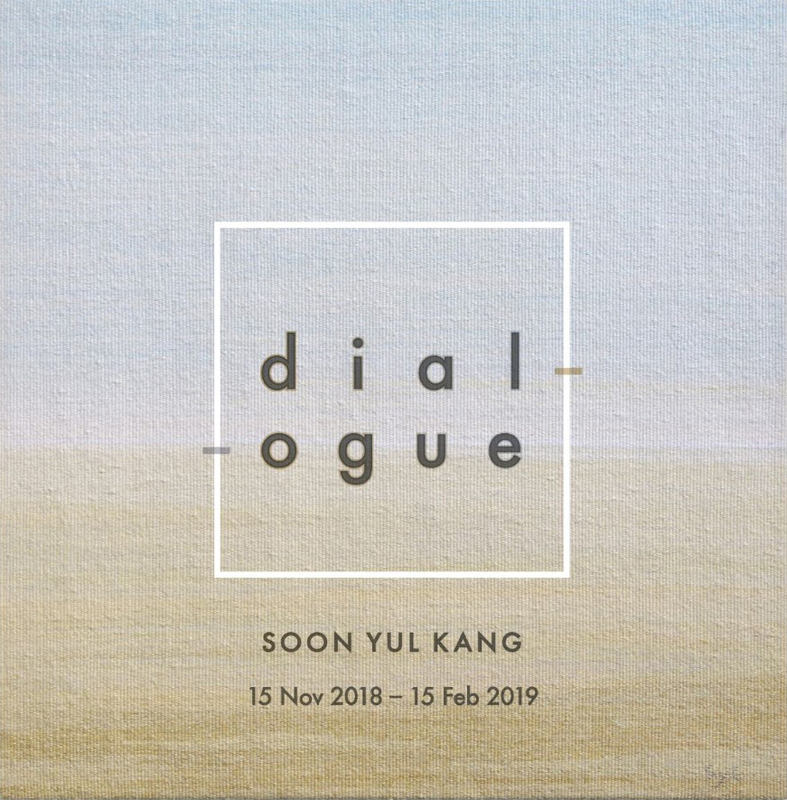 The exhibition titled dialogue creates meditative atmosphere to viewers through her subtle colour of hand- woven tapestries and mulberry paper collage works inspired by the ZEN understanding of simplicity, emptiness, stillness, repetition and nature. Soon Yul Kang studied fibre arts in Korea, Japan and diploma course in tapestry weaving at West Dean College, UK. She completed an MA at Goldsmiths College, University of London and has been a resident artist in Kew Art Studio in Richmond since 1998. Over the years she explored with several different mediums such as hand-woven tapestry, collage, installation, mixed media, photograph with the theme of meditation, healing and time. Soon Yul Kang has exhibited widely in UK and South Korea and internationally including a recent exhibition at NARNI museum in Italy as part of the International Music Festival (2018) and solo exhibitions at Han Collection in London (2017), La Nouva Pesa in Rome, Italy (2016) and the 4th Biennale of the End of the World in Argentina (2014-15). Her works are included in public and private collections internationally.